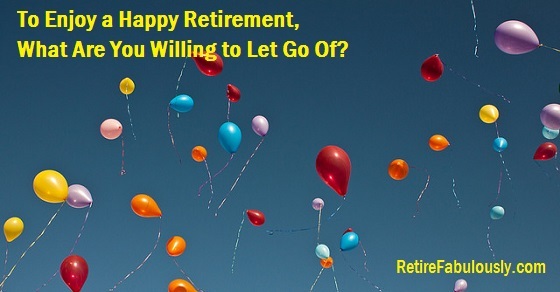 To Enjoy a Happy Retirement, What Are You Willing to Let Go Of? - Retire Fabulously! In many of the other articles on this website, I write a lot about all the possibilities for what you can do with your life once you no longer have to work (or at least, work full-time). You can spend more time doing things you’re passionate about, such as writing, playing music, creating art, or volunteering. You can travel more, without being limited to a finite number of vacation days a year. You can allow more time for physical activities, such as hiking, biking, or playing golf. You can spend more time for taking courses, reading, or enjoying cultural events. I often suggest that you should strive for a balance of physical activities, mental stimulation, socialization, and fulfillment. All of these are things you can add into your life. After almost two years of being retired, I often seem to be busier than I was while I was working. (I’m usually not, but it seems that way.) I still don’t have enough time to do all the things I envisioned doing. While my life is rich with fun, rewarding activities, most of which I enjoy, part of me also wishes my life was simpler. Not boring – just simpler. I still find that some of my time is either being wasted or is being taken up with things that don’t really bring me joy. Finding ways to eliminate the “noise” and the needless complications should make for a much more satisfying life. I am starting to realize that the key to living a happy, fulfilling retirement is not just about what you add into your life, it’s also about what you let go of. Things that you might want to let go of fall into at least four categories: activities and obligations, possessions, people, and attitudes. Today, I will consider activities and obligations. I will deal with the other categories in upcoming articles. Here are a couple of examples of activities and obligations I am letting go of. Jeff and I have lived in our current house for almost ten years. During the first few years, we planted a lot of new plants of various types, including a row of ten Texas Yellow Bells along the back wall of our yard. Our hope was that they would provide beauty with their green lushness and colorful blossoms, something nicer to look at than a grey cement block wall, and privacy. The plants fulfilled their promise on all counts. But they also became a maintenance headache. They dropped blossoms and leaves constantly. They required frequent trimming, especially because we didn’t want them to grow over into our neighbor’s yard and drop blossoms and leaves on their property. Now that we’re retired, we have more time to do yard maintenance. But the truth is, we don’t want to do yard maintenance. Of all the things on Jeff’s and my lists of things we want to do in our retirement, yard maintenance isn’t one of them. Yes, we could hire landscapers to come regularly and do the work, but we’re trying to live on less income, and we would rather see our money go towards things that bring us more value. Now, six of the ten Yellow Bells are now gone. We are still undecided on the other four. We have eliminated other plants, too. Our goal is to have a much more low-maintenance yard. I think there might be artificial turf in our future. Many people downsize to smaller houses, mobile or manufactured homes, condos, or apartments for the same reason – to reduce or eliminate the yard maintenance they have to do. We greatly enjoy many other aspects of our house, so we have decided to stay here for the foreseeable future. But we will do whatever we can to reduce the upkeep, both inside and outside. Jeff and I play in a community wind symphony (flute and trombone, respectively). We were among the founders of the band in 2010, and we served on the board of directors for three years, including two years as officers. It was rewarding in some ways, but it was also time-consuming and at times aggravating. While I still care deeply about the band’s success, I have decided that serving on the board of directors is not something that I want to spend time and attention doing. It’s not one of the things on my list of things I want to do in my retirement. I have decided to let go of serving on boards. When you belong to organizations such as this, working people might easily assume that since you are retired, you have lots of time on your hands and you should be a prime candidate for taking on roles such as serving on committees and boards. Only say yes if you really want to do it. When you don’t sufficiently fill your life with the activities that truly bring you value, then other things can easily rush in to take up the space. We have also re-examined our spending habits. We have decided to let go of eating out in fancier restaurants, except on special occasions. This has been tough, because for some of our friends who are still working, this is their favorite way to socialize. Similarly, we have let go of impulse spending at places that specialize in cool, shiny things – like Costco. While it’s fun and satisfying to be able to throw something that catches your eye into the cart when you decide on the spot that you want it, this has been something we have been willing to let go of in order to be able to retire earlier. I’m starting to look at everything in my life and ask whether it’s really necessary and whether it can be eliminated or made simpler. Magazine subscriptions and email subscriptions are just two examples. Designing your ideal retirement lifestyle is as much about what you remove from your life as what you add to it. What would make your life simpler? What activities or obligations are you willing to let go if, in order to make your life happier and have more time and/or money to devote to what you really want? 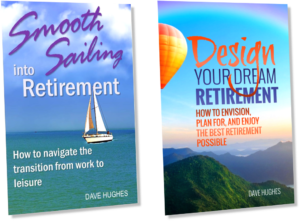 This topic and more are covered in the book Smooth Sailing into Retirement. 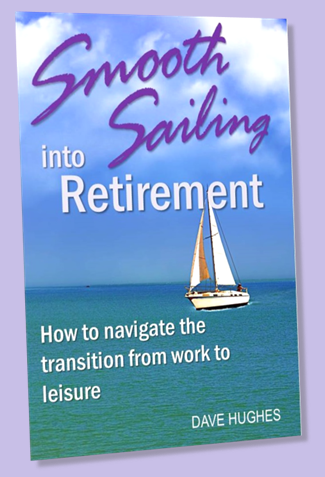 This book will guide you from your last few months of work through your first year of retirement. It identifies the many ways your life will change and prepares you for the emotions you may experience along the way. At each step, you will receive strategies for dealing with these changes. Click here to learn more. © 2015 Dave Hughes. All rights reserved. Photo credit: Shaun Fisher. Some rights reserved. Previous: Previous post: 10 Great Places to Retire for LGBT People – and Everyone! My wife likes vegetable gardening. She would rather do that then get into lawn maintenance. She bought lawn plugs of grass, advertised as not needing mowed as much.. yep they worked. I removed every hedge and bush that would need trimmed. Everything straight lined so even she can hop on the riding lawn mower and be done. Can’t imagine not having a yard, so apartment and condo’s are out. Finding a smaller home, one story, to keep up with a garage is a chore. We decided years ago to not shop at the Malls after she had a job in a clothing factory where the same items were going to several Dollar stores that were sent to JC Penney’s, and Dillard’s, at a greater savings. We make a grocery list and shop at lower costing supermarkets and only use Wal-mart and Kmart if the item isn’t available. Also she decided that we would live on a “retirement” budget now, to save more for retirement. This has enabled us to see what entertainment, and such we could afford after retirement and what entertainment we would miss if we didn’t have it in our life. Outdoor life, books, art/museums and music can be found at little to no cost. Area Chamber of Commerce and Libraries are very resourceful places for things to do. Happiness is who you’re with and what you do together, in my book. 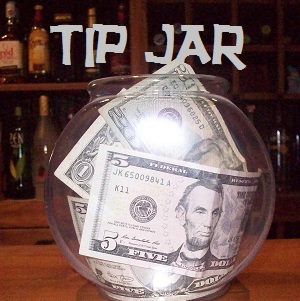 You have shared a lot of smart tips here. You and your wife have things figured out! The idea of creating a retirement budget and trying to live on that before you retire is really smart. It’s a good reality check. And, as you said, it frees up more money to save! I’ve never heard of grass plugs. I’ll check that out. Thanks!